I decided to spend this Memorial Day Weekend in the city, since the forecast called for rain on both Saturday and Sunday. While there was no rain, there was plenty of sun instead. The city was pretty empty for a change, so I spent the weekend going to the Neue Galerie, shopping at Topshop, walking in Central Park, and watching La Dolce Vita. Below is a list of my top three Memorial Day Weekend necessities to throw the chicest bbq ever. 1.) 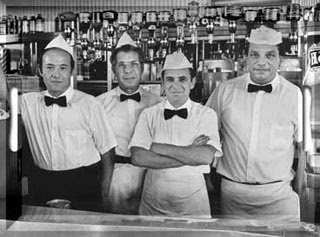 Baristi Tray from Laura and Corrado: These stunning trays feature vintage photographs of daily life in an Italian village straight out of an Antonioni film. They are ideal for serving Campari and Sodas to your guests on hot summer evenings. 2.) Music by Phoenix: The new cd by this Versaille group (featured in this month's Vogue) is perfect to play at a casual party. Their new album Wolfgang Amadeus Phoenix will be released to the public on May 26th. 3.) 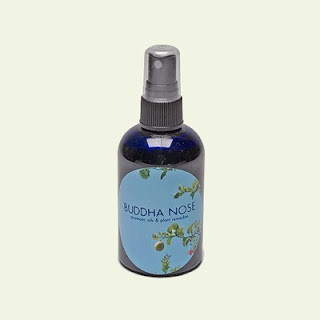 Buddah Nose Organic Bug Away Spray: The last thing that you want to leave a summer party with is tons of mosquito bites. This organic repellent with citronella and peppermint works wonders. Spray it on pulse points and bare arms and legs to keep the bugs away.